For those who read my blog regularly, you are going to roll your eyes at this one. Yes, I have another method for making natural laundry detergent with no chemicals or harmful additives. There are so many laundry detergent combinations that each person can easily choose what is the best for them. Some people like powdered soap and some like liquid detergent. Most recipes use Borax and Washing Soda in combination with a soap. For reasons I don't completely understand, some groups believe using Borax is not being completely green. Those people use baking soda in place of the Borax. I don't agree. Borax is a naturally occurring mineral. I have heard of people eating it to get the mineral Boron to treat a Boron deficiency. I like both of these but last week I was out of soap nuts, and I didn't have any Zote soap or Fels Naptha soap on hand. I always have Dr. Bronner's Pure Castile soap on hand. I even wash my hair with it, so it is always available for my use. 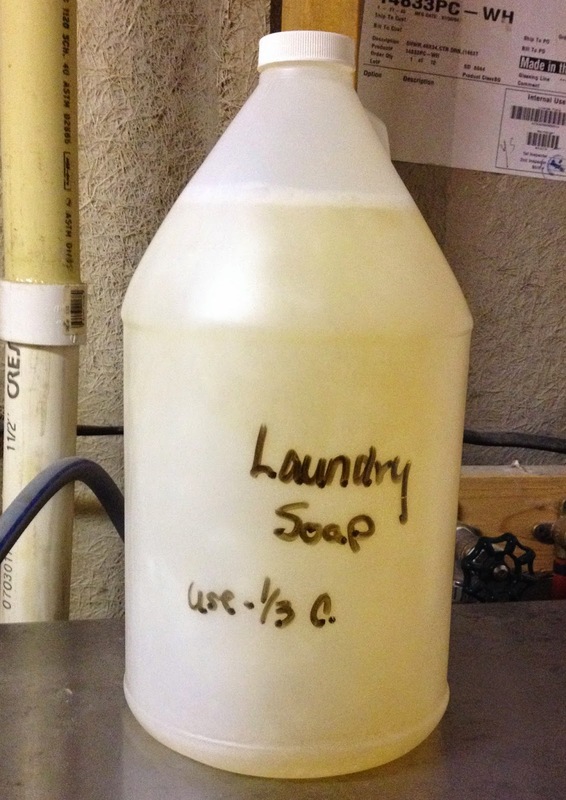 I did a little research and found a recipe for liquid laundry soap that uses Dr. Bronner's. The orange citrus is my favorite. In a large bucket or large pan put a small amount of the water. To the water add ¼ cup of Borax and ¼ cup of Washing Soda. Mix together well to dissolve the powders in the water. Add more water if necessary. Be sure to mix completely. I used an immersion blender to make sure it was mixed completely. Add the rest of the water and stir in the liquid soap whatever scent you choose. I love the Orange Citrus but Dr. Bronner's comes in many scents. You can add a few drops of essential oil if you want a stronger smell. The detergent is ready to use. ⅓ cup is all you need for a load and it's safe for HE washers. This gallon of soap can be made for pennies per load. For bad stains some pre-treating may be necessary. 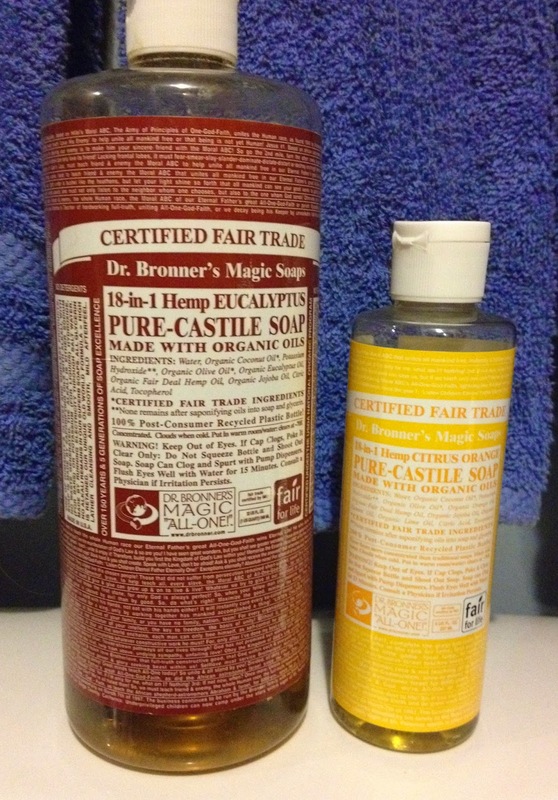 If you feel Dr. Bronner's is too expensive, they have inexpensive bars of castile soap in the grocery store. Just cut or grate a bar in some water and melt it over the stove. Use that for the soap portion of the recipe.